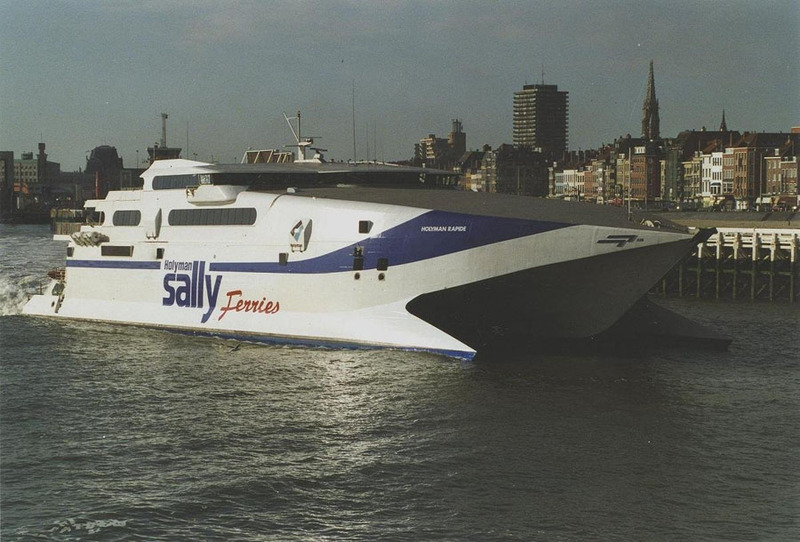 April 1996: Delivered to Holyman Group, England. 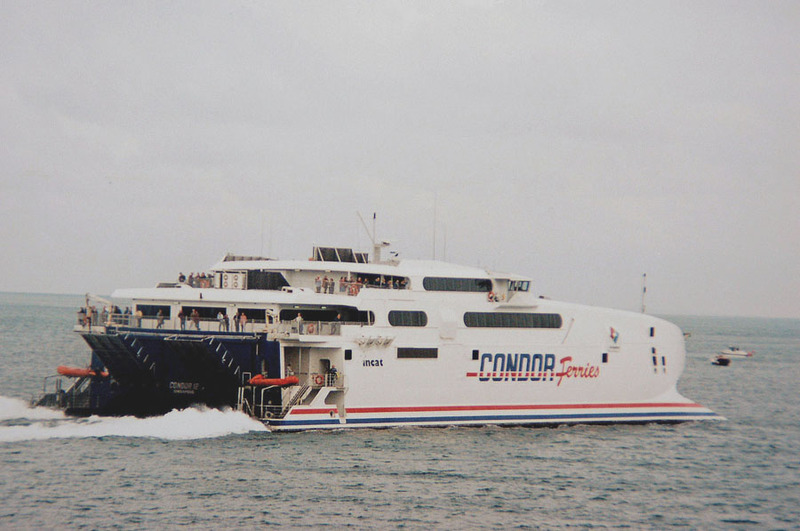 August 8th 1996 – January 30th 1997: In service for Condor Ferries between Weymouth – Jersey – Guernsey. February 1997: Transferred to Holyman Sally (Luxemburg) SA, Luxemburg. 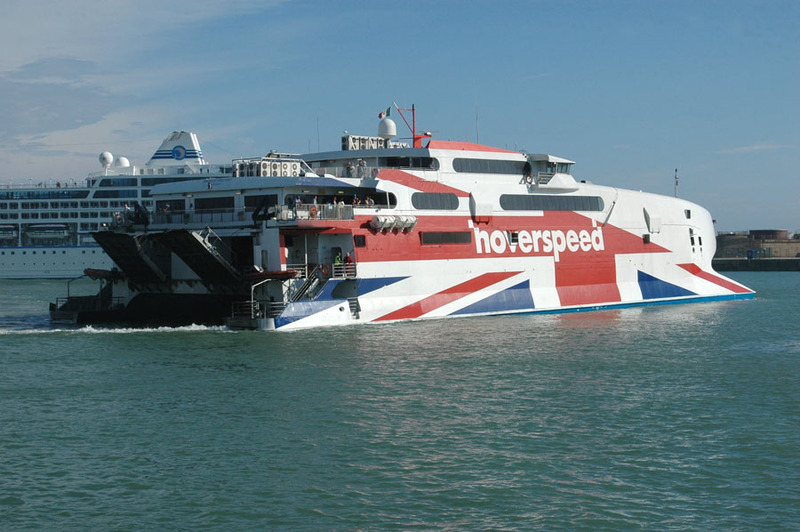 Renamed HOLYMAN RAPIDE. 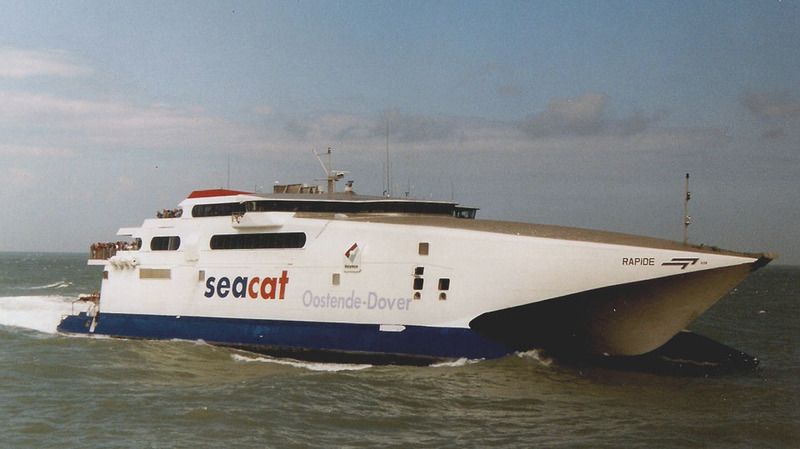 March 1st 1997: Commenced service between Oostende – Ramsgate. 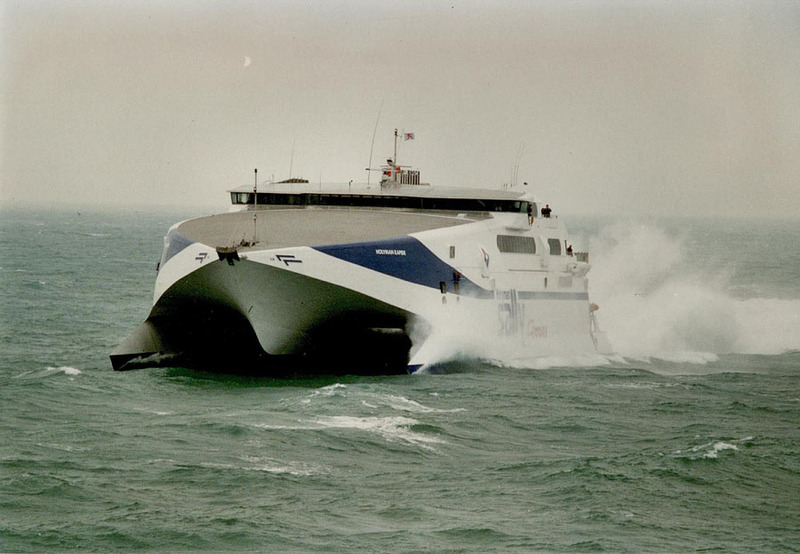 March 1998: Transferred to Hoverspeed Holyman Ltd, Luxemburg. Renamed RAPIDE. 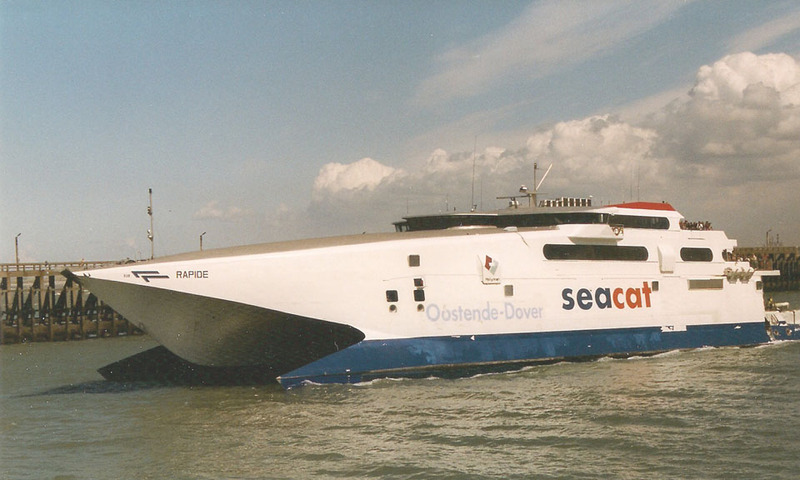 March 6th 1998: Commenced service between Oostende – Dover. 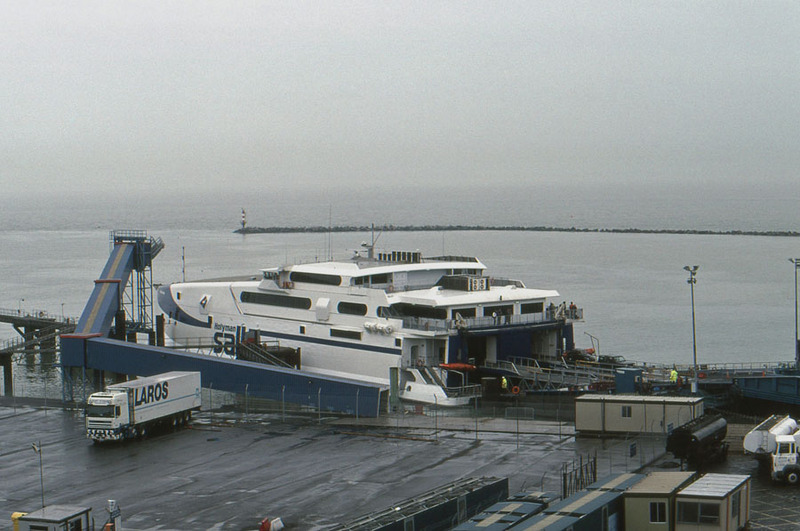 In the winter operated between Dover – Calais. 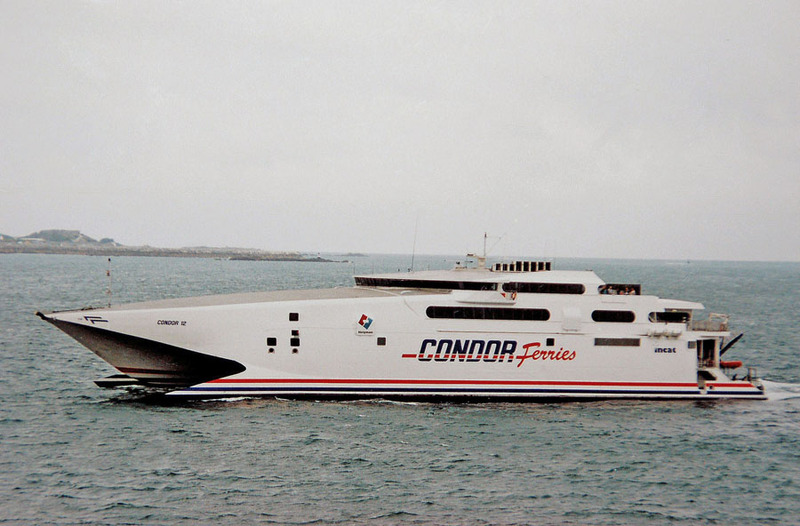 March 1st 2001: Commenced service between Liverpool – Dublin. 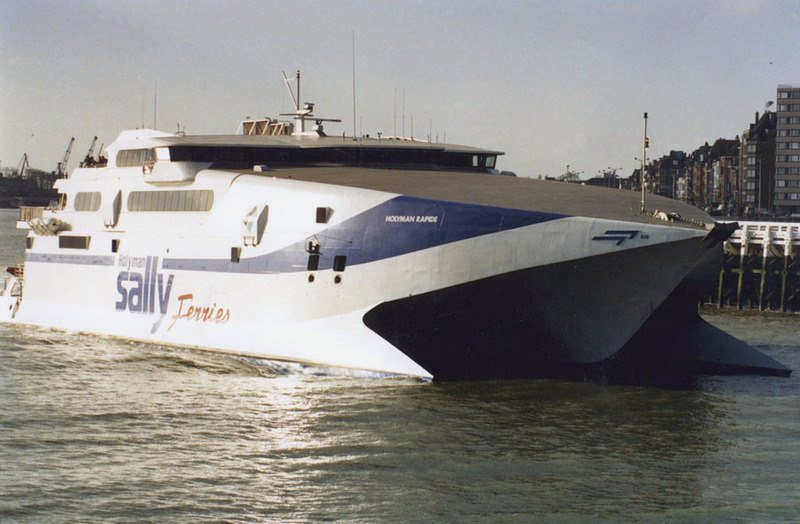 March 28th 2002: Commenced service between Belfast – Heysham. 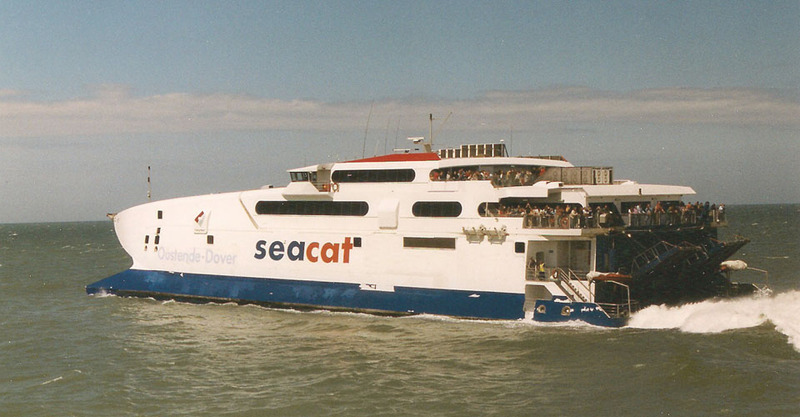 August 21st 2002: After an engine-room fire placed in service between Belfast – Heysham. 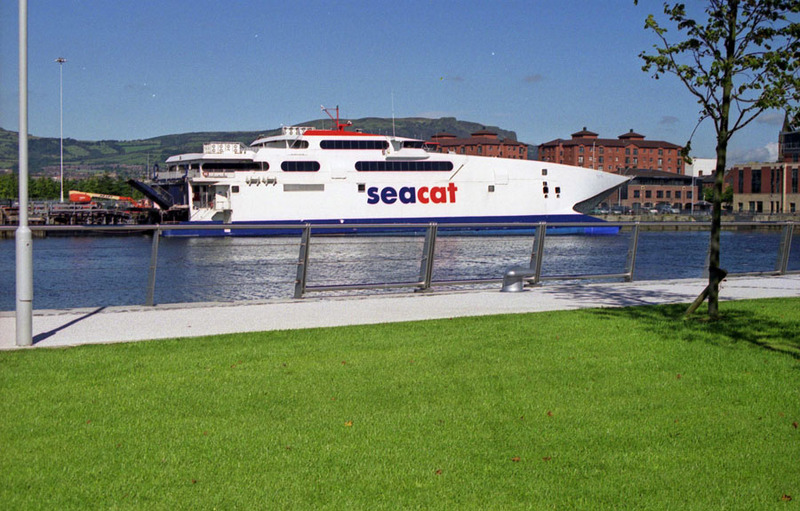 March 27th 2003: Commenced service between Belfast – Troon. 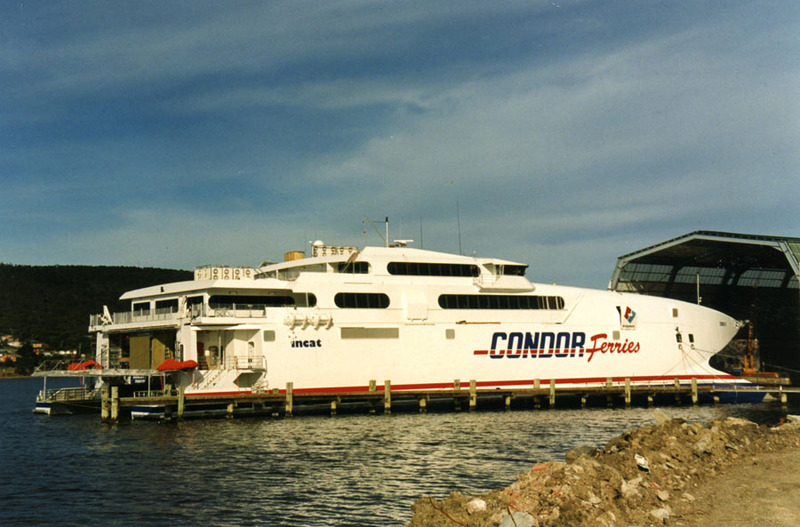 September 2003: Transferred to the Bahamas flag, home port Nassau. 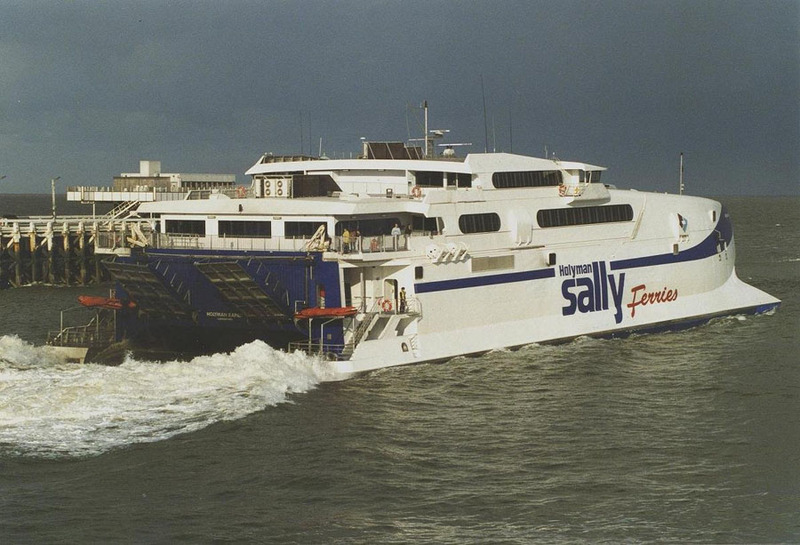 June 3rd 2004 – June 13th 2004: Chartered to Isle Of Man Steam Packet for services to and from the Isle Of Man. 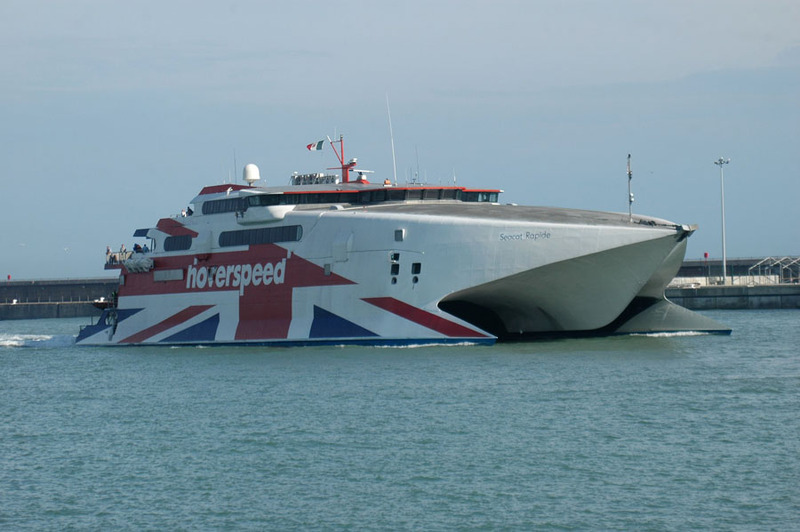 October 8th 2004: Arrived at Sunderland from Belfast for yard lay-up and repainted in the new Hoverspeed colours. 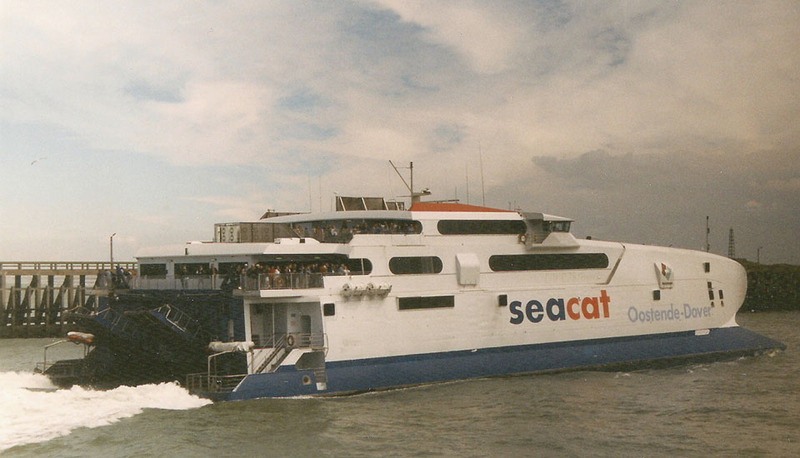 March 17th 2005: Commenced seasons sailings to Calais. 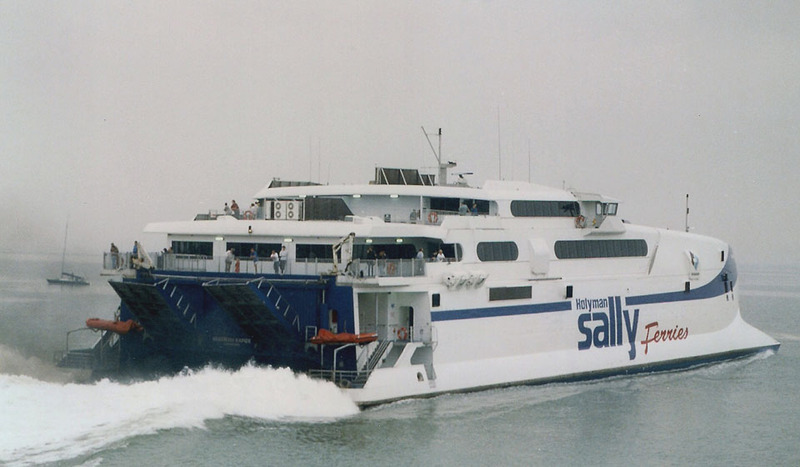 March 24th 2005: First of seasons sailings by SEACAT DIAMANT. 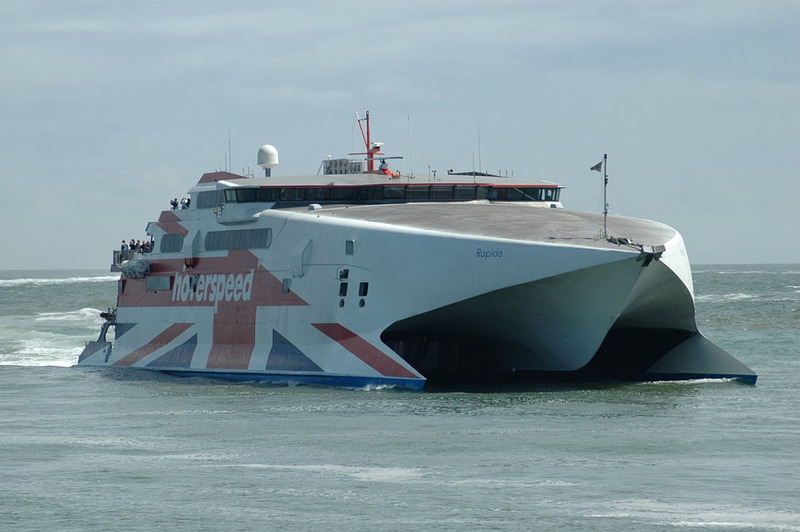 June 29th 2005: Seen named as SEACAT RAPIDE. 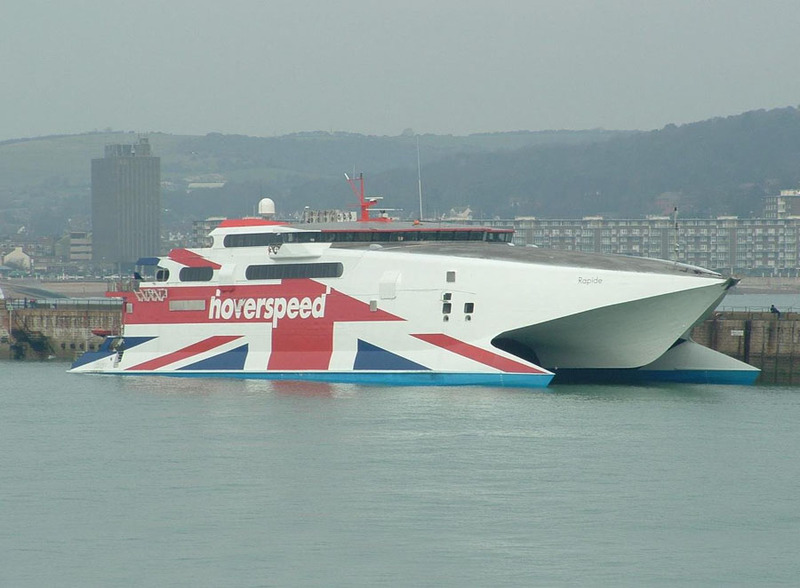 November 4th 2005: Hoverspeed announces early closure on Dover-Calais route. 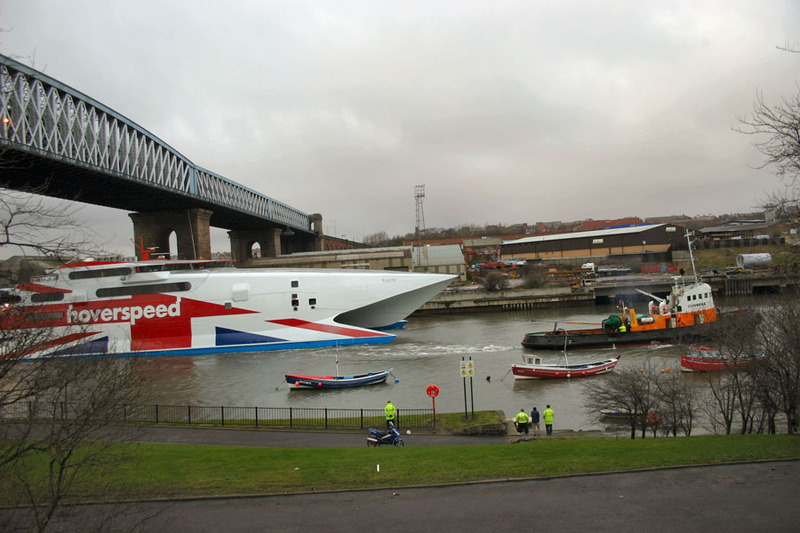 November 2005: Laid at up on the Tyne. 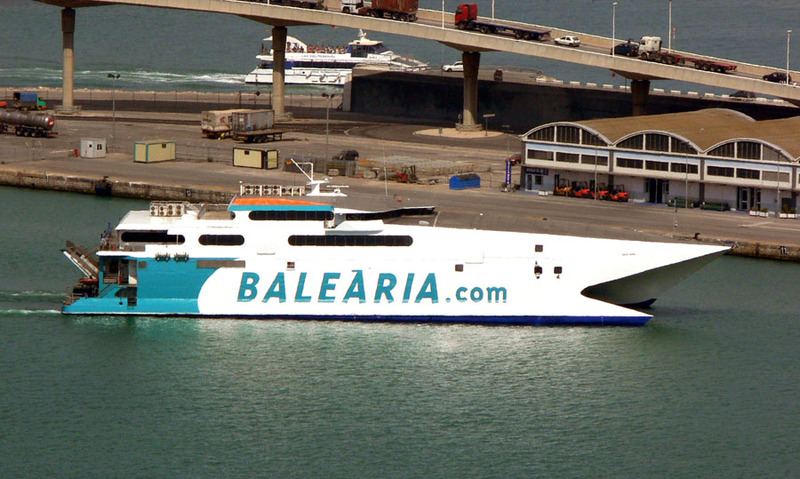 June 2006: Sold to Balearia, Spain. 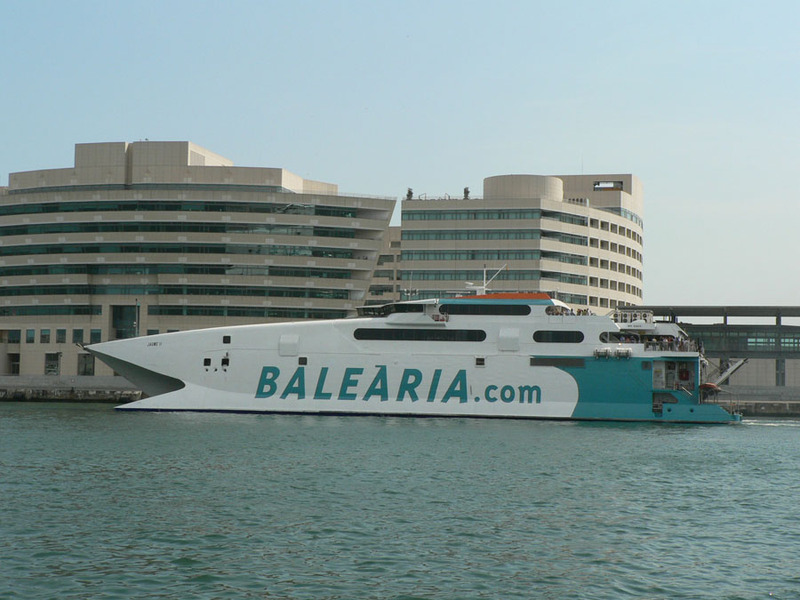 June 17th 1641 hrs: Sailed from Tilbury Dock to Palma. 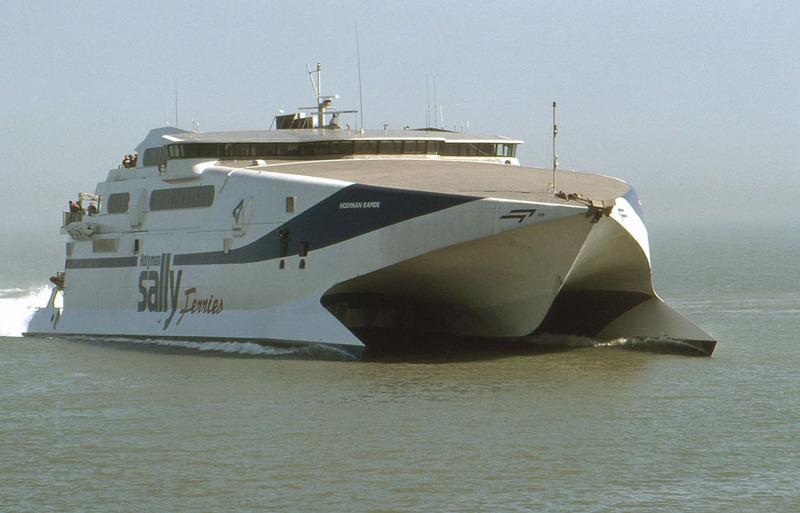 July 2006: Renamed JAUME II. 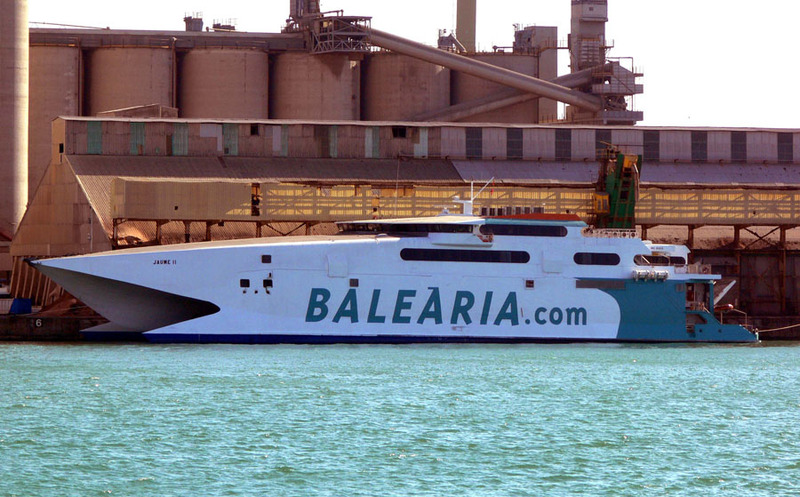 2006: In Service Registered owner: Baleria Address: s/n, Estacion Maritima, Denia Spain. 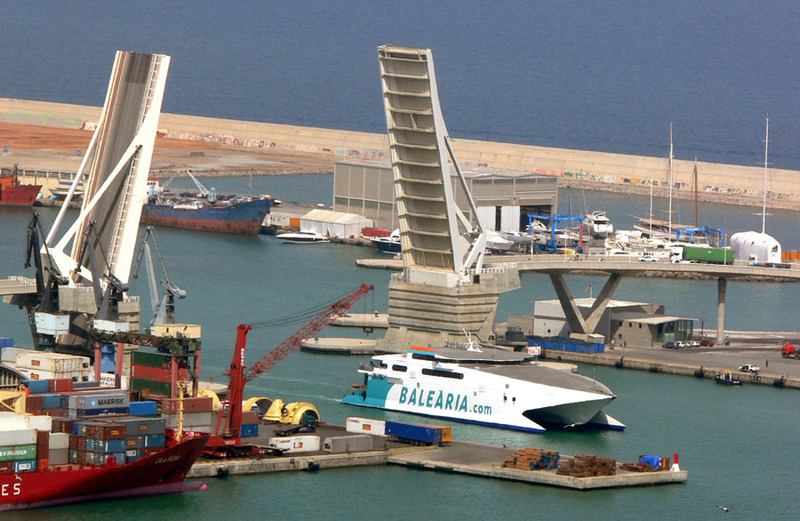 Ship manager: Baleria Address: s/n, Estacion Maritima, Denia Spain. 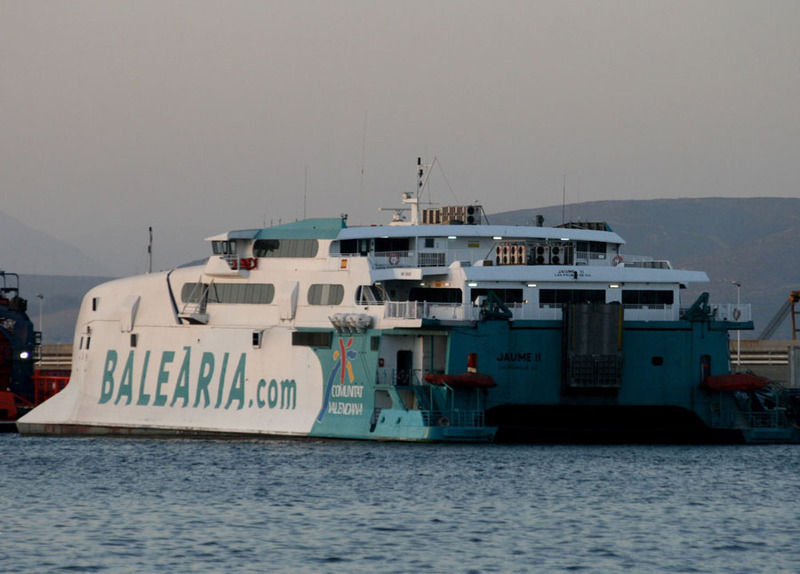 May 2016: In service Algeciras – Ceuta. 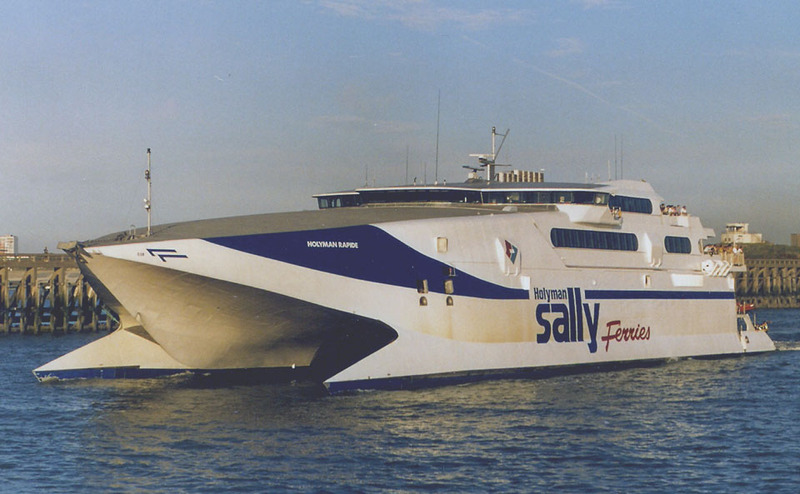 February 2017: It was announced that the fast ferry JAUME II would receive a €5.5 million refit which would involve the replacement of her four main engines and a complete internal upgrade. 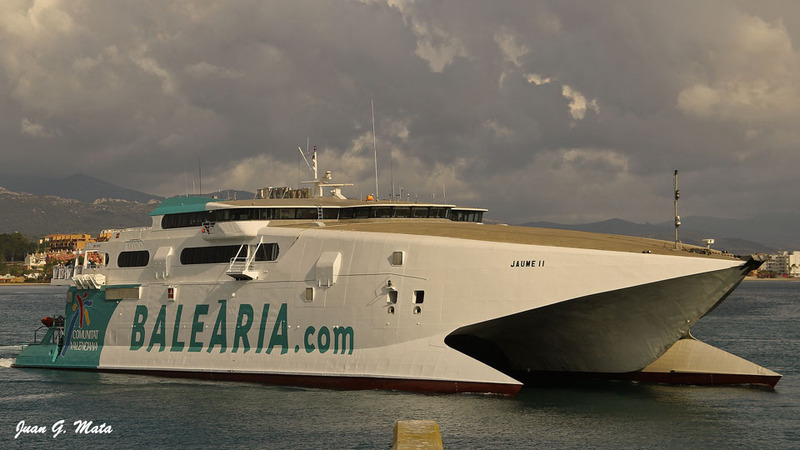 The new engines will not only see a 10% reduction in fuel consumption and a 70% reduction in NOx (nitrogen dioxide) emissions but are stated to be more reliable than the old power plant. 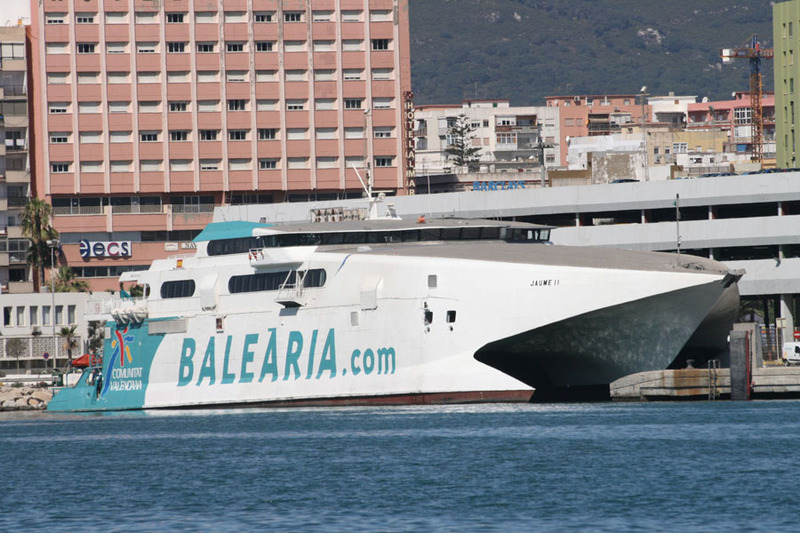 The work is to be completed at Astilleros del Guadalquivir shipyard. 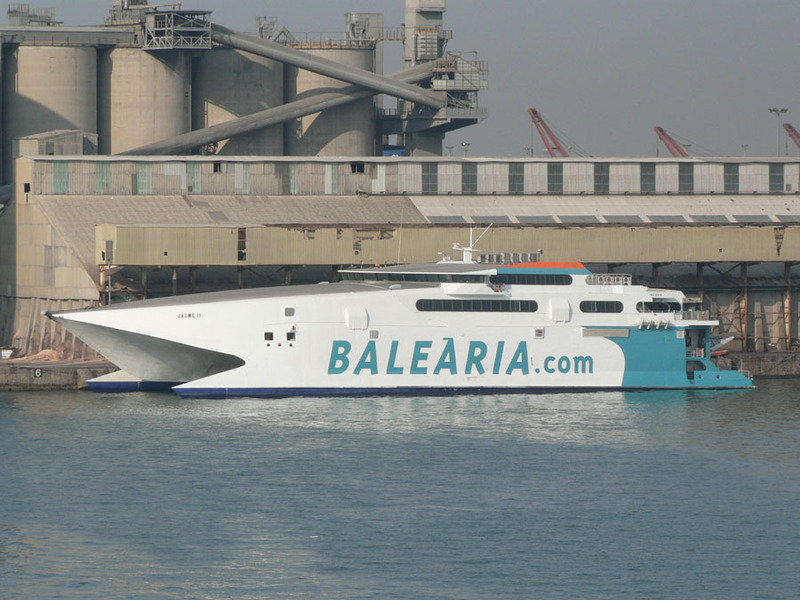 This week work begins on the construction of the Jaume II Balearic fast ferry at the Guadalquivir Shipyard, where it will be replaced by four main engines to improve its propulsion system and reduce both fuel consumption and pollutant emissions. 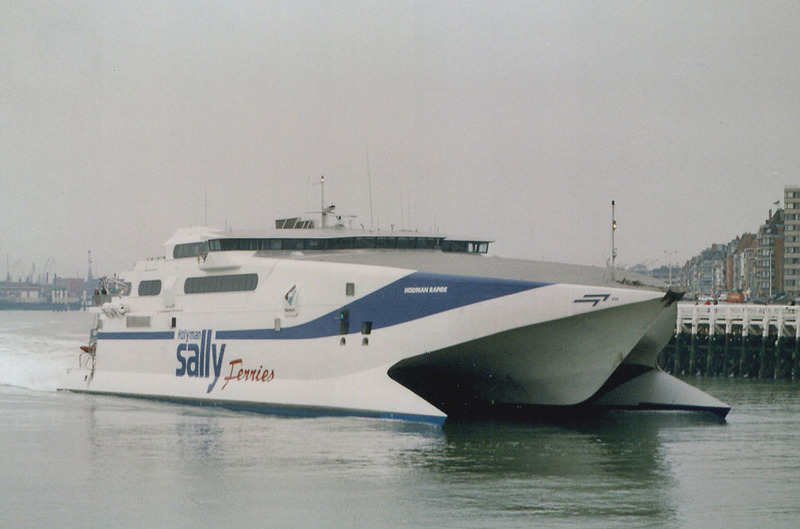 The installation of the new engines, valued at more than 5.5 million euros, is part of the company’s investment plan to modernize its fleet and ensure a better service to customers. 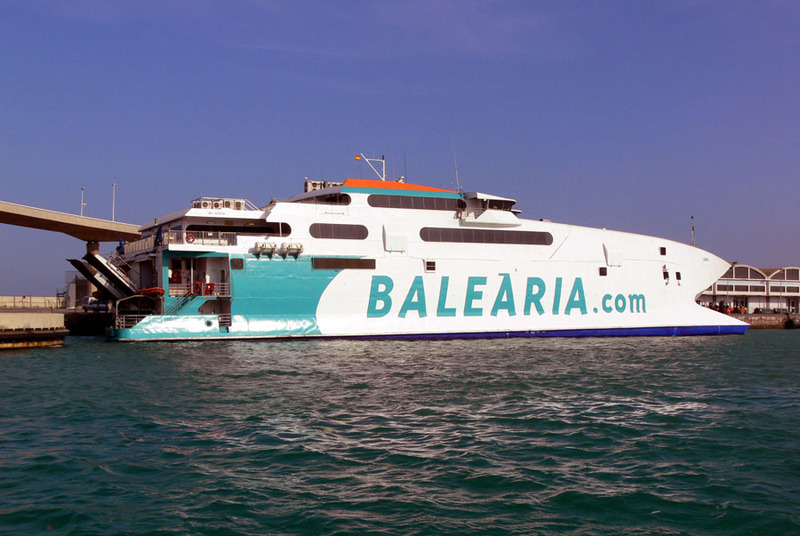 Baleària’s president, Adolfo Utor, has indicated that the new engines “will be 10% more energy efficient”, which will reduce NOx emissions by more than 70%. 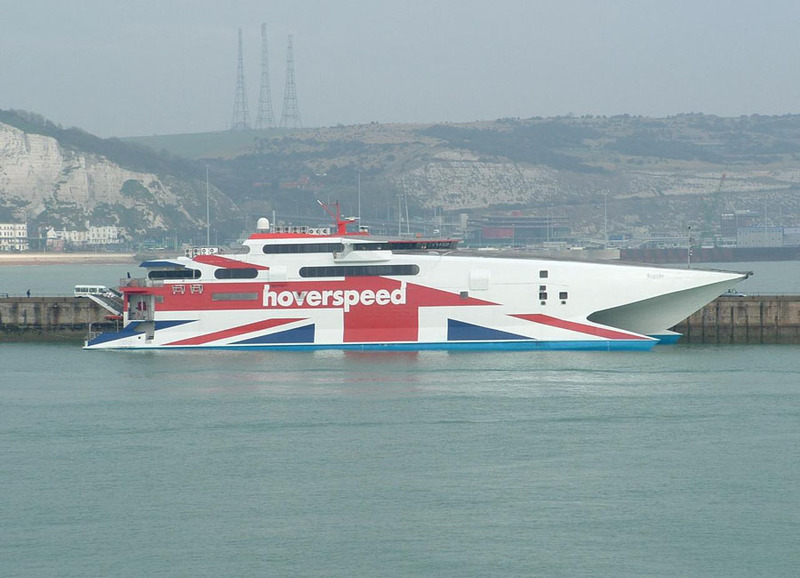 Utor has also remarked that this intervention will increase the reliability and speed of the vessel, which “will be able to maintain a cruising speed of 35 knots”. In addition to the remodelling works, it is also planned a renovation of the interior spaces of the ship to gain in comfort and modernity. All the seats and the carpet of the halls will be changed, a salon will be enabled, the cafes and their exhibitors will be reformed and more light installed in all the passage areas of the boat. All information is believed to be correct and no responsibility is accepted for any errors or omissions found. All items included in this article are subject to © copyright. 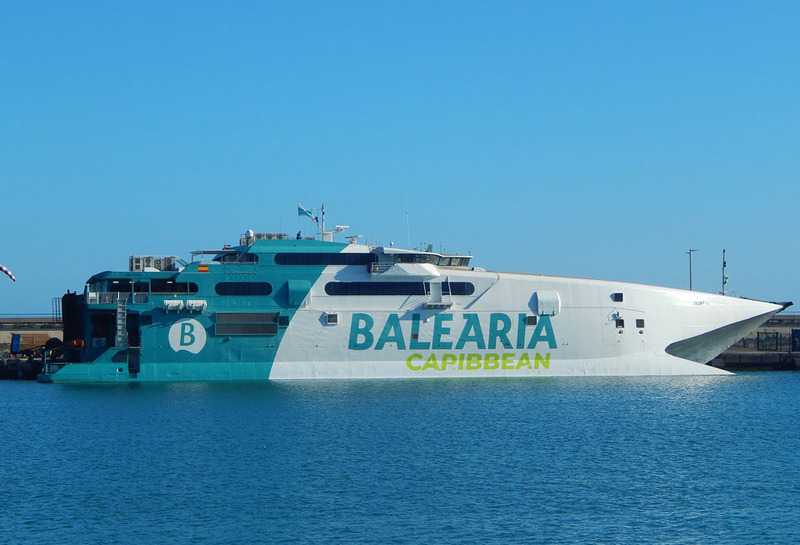 We would like to take this opportunity of thanking: Aubrey Dale, Daniel Ferro, Rob De Visser, Pieter Inpyn, International Catamarans Pty Ltd (Incat), Ken Larwood, Alex Marrero, Juan G Mata, Justin Merrigan (Sealink-Holyhead), Carlos Poveda and Andreas Wörteler for their assistance in compiling this feature.